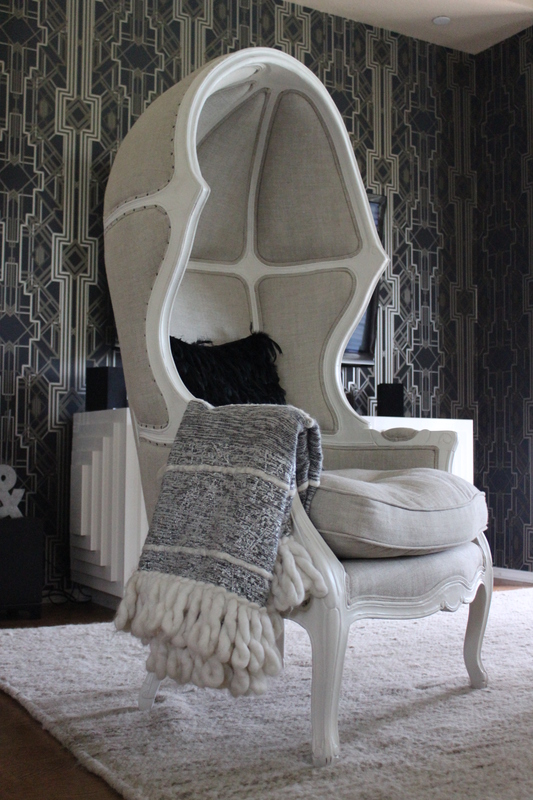 Before stumbling upon Catherine Martin’s Metropolis wallpaper, I was completely against accent walls. I always thought they kept your eyes from moving around a room, usually to rest on a color that was too bold for my personal taste. 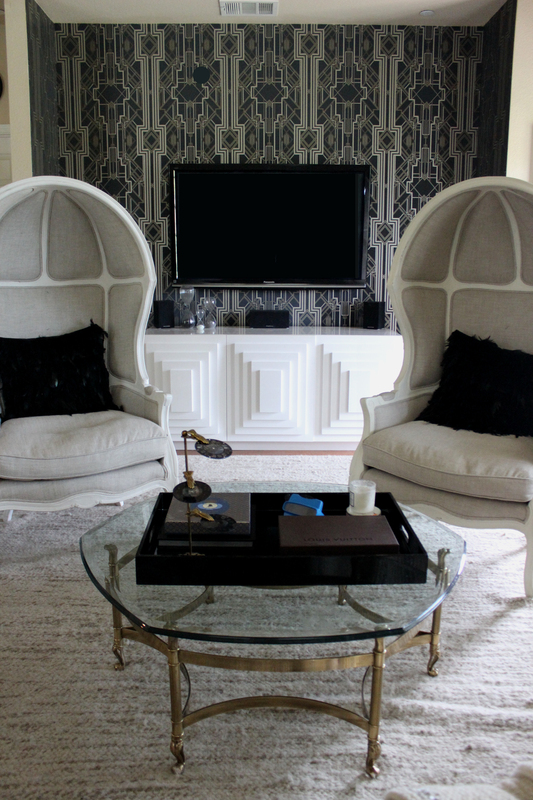 The Gatsby inspired wallpaper would be far too busy for a room the size of my living room, and too dark for a room so well lit. Not to mention too expensive for my current budget. Boy, do I love it! This is the first project for which I hired a professional. You guys, I went on vacation and came back to skim coated walls. I went to work the following day, and came back to wallpapered walls. Heaven, I tell you: paradise. Slowly, life is being breathed into my vision. This home is mine?! P.S. 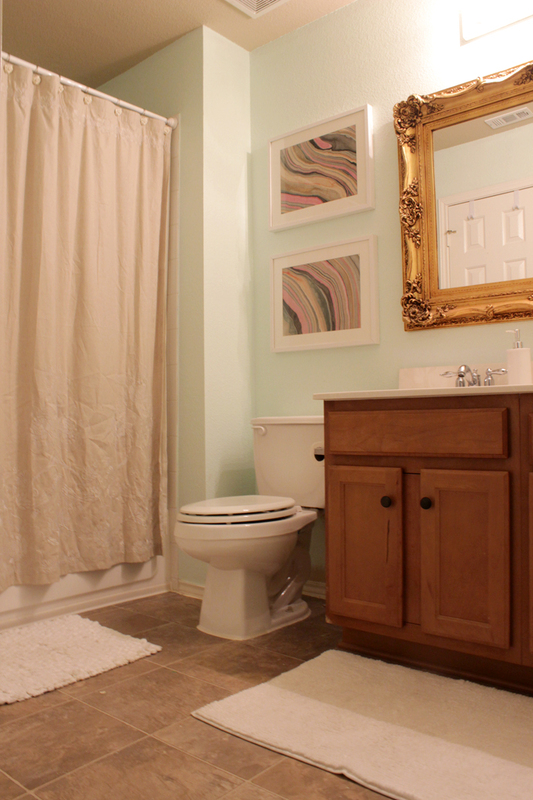 If you’re new around here or need a refresher on what the room looked like before, click here. I heard once that lighting is the jewelry of a room. I can’t remember where I heard that phrase, nor do I know who originally said it, regardless, I love it. If decorating my home had a focus for the year, it would be lighting. While my home is still home to many basic fixtures, I have made a conscious effort to customize my cookie cutter with lighting that reflects my personal taste. 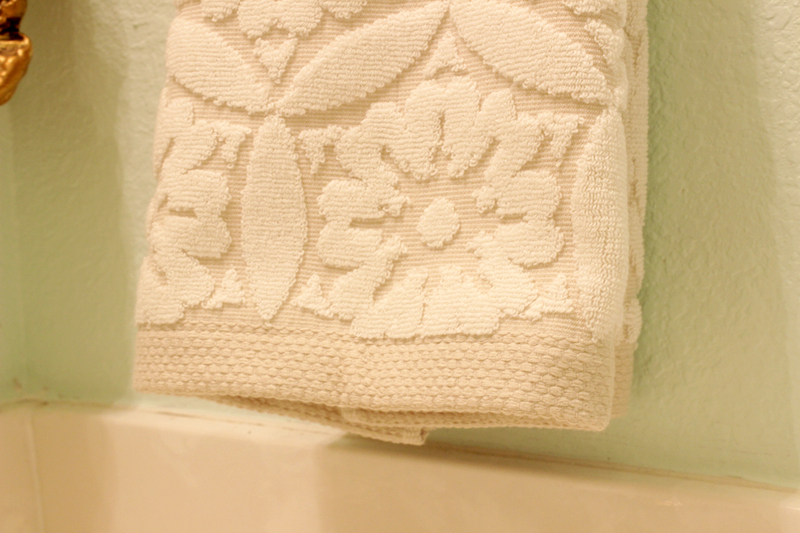 As with most areas of decorating, I wait for inspiration, hunt for a good value, and take it one small step at a time. So what have I done in 2015 to up my lighting game? Move over candles! 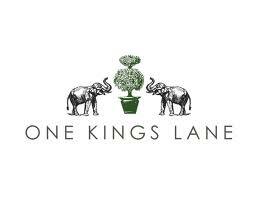 Dimmer switches can add the same romance to a dining room that candles might. 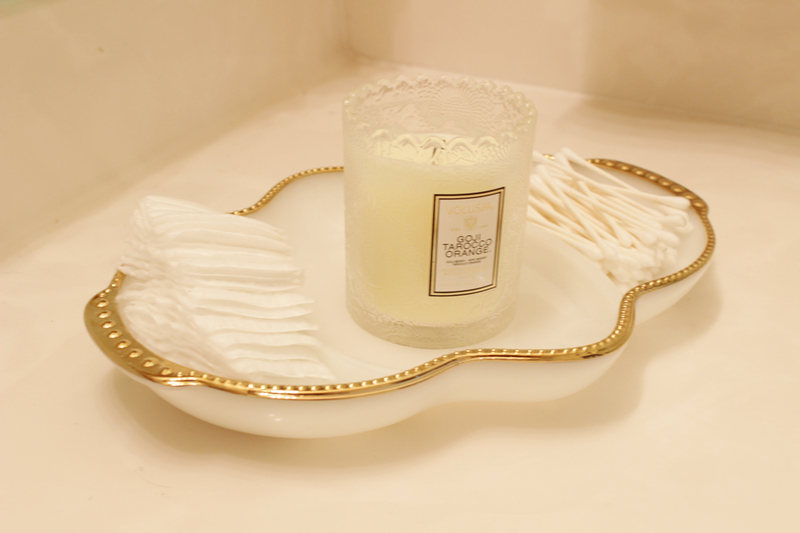 They can also add a relaxing ambiance to a bathroom perfect for a soak. I personally like to gradually raise the level of light in my bathroom as I get ready each morning. Ceiling medallions add architectural interest. 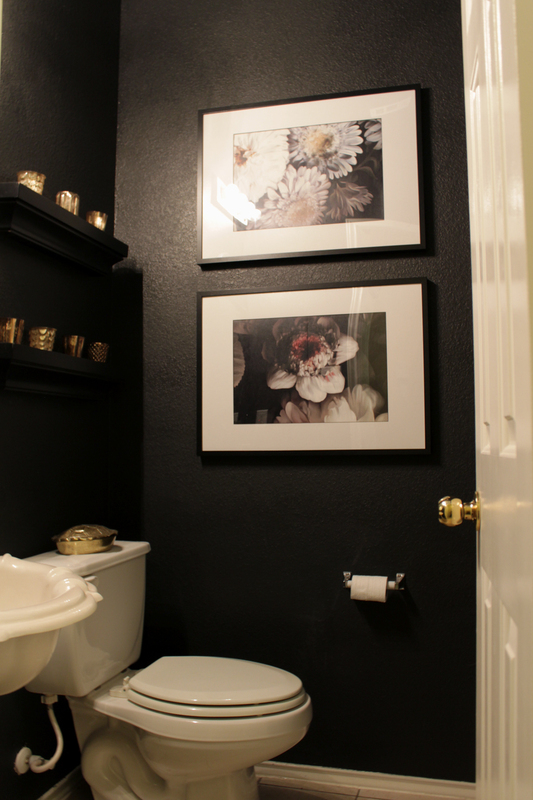 Last year, I installed a simple one Black and White Entry. 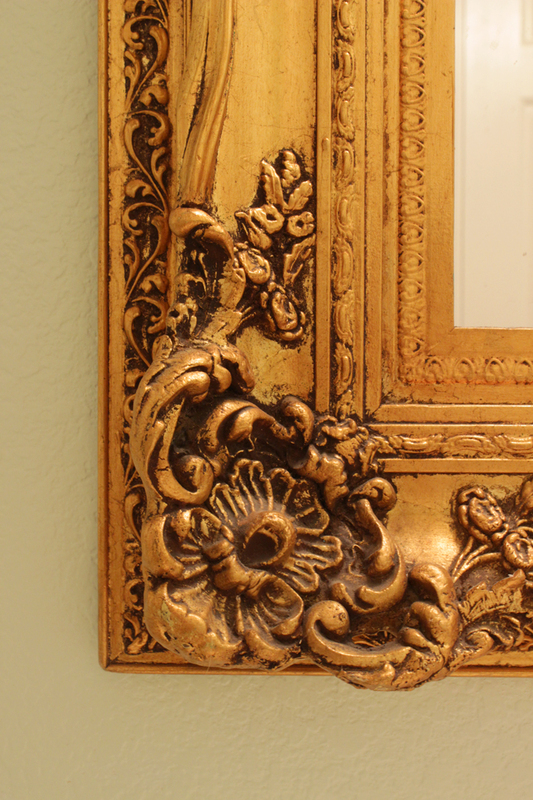 This year, a more ornate medallion in the dining room. Lighting can be costly, but I have scoured and scored over the past few months. 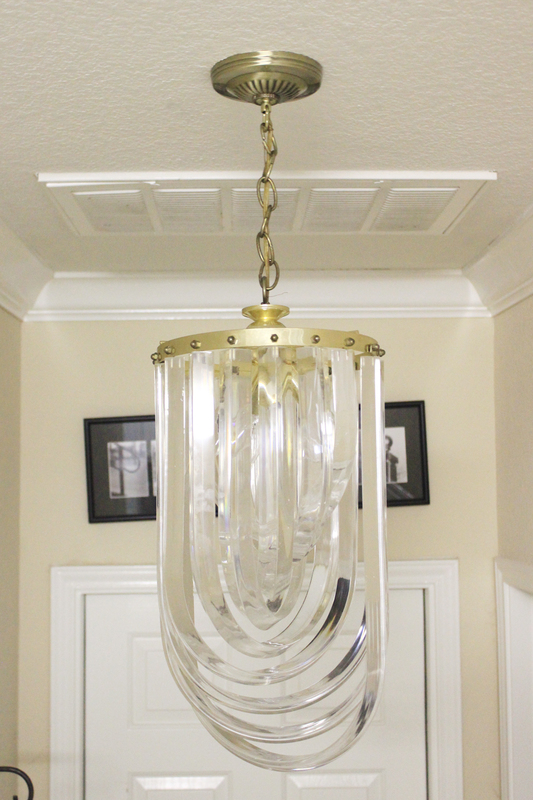 My under-buyer habits made me walk away from a great deal on a vintage lucite and brass waterfall chandelier, but I didn’t get a mile away from the antique store before turning around, realizing that I’d regret not scooping up the steal. I ordered a new canopy and hung it in the hallway. The photo really doesn’t do it justice. 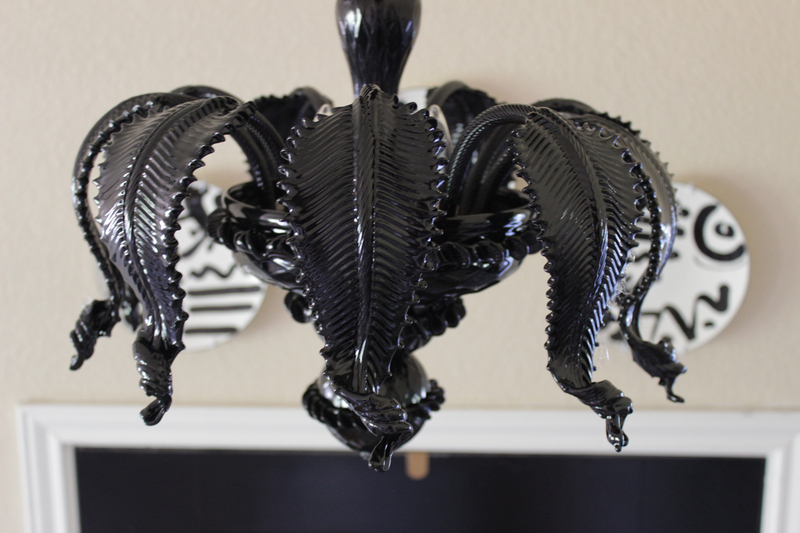 For more than a year, I have hunted for a black glass chandelier for my entryway. Then, several months ago, I stumbled upon an affordable (!!!) glass company from Italy. It felt like a huge break, and I promptly placed a custom order for a chandelier made of dreams. It not so promptly arrived more than two months (twice as long as anticipated) later. I expected it to be plug and play, but it came vacuum sealed in pieces. For the price, I can’t complain, and I’m always up for a new challenge. 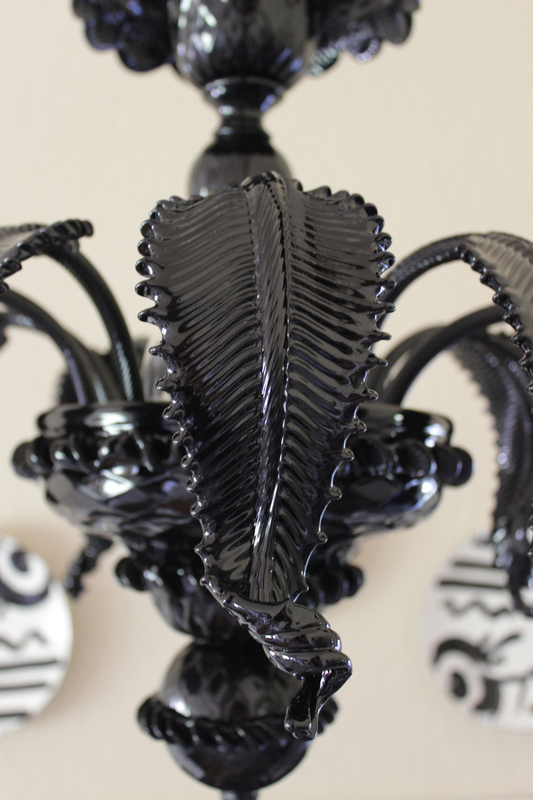 She’s my sort of bizzarre, edgy, Murano glass beaut. Please excuse my continued drooling. For some time now I’ve admired the late French designer Serge Mouille’s lighting designs. Originals are cost prohibitive, but I finally pulled the trigger on a fantasic reproduction of his 3-arm floor lamp from France & Sons. At nearly seven (7) feet tall, the lamp has a considerable footprint and filled a large void in my living room. Large scale art can be expensive, and while I’m still working on gathering basic furnishings and decor as a first-time home owner, art just hasn’t made its way up the priority list. Just because splurging on an original painting from my favorite artist isn’t in the cards right now, doesn’t mean I want barren walls. I’ve loved Ashley Woodson Bailey‘s dark floral photographs since the first time I saw them. 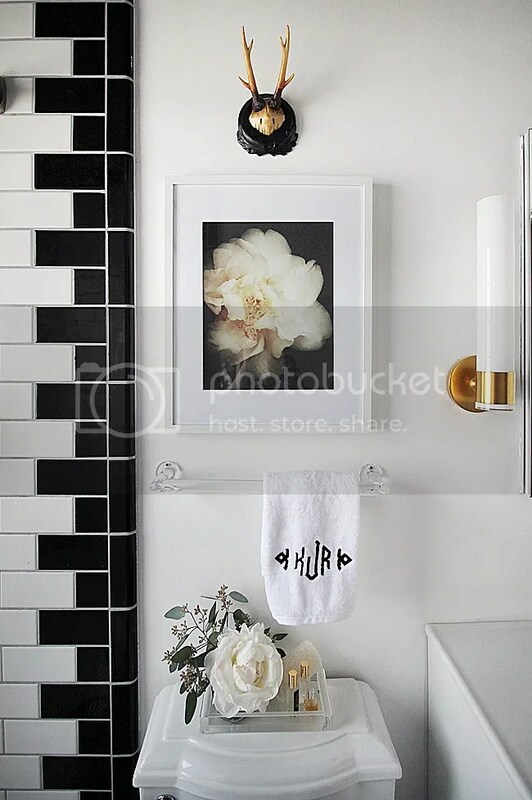 Some of my favorite designers, like Kristin Jackson and Christine Dovey, have used her photograph’s in their homes and clients’. I’ve also loved Ellie Cashman‘s wallpaper designs, which I believe are based off of Dutch painter Cornelis van Spaendonck’s work, but I’m not sure I am ready to commit to a fully floral bathroom yet either. The affordable compromise? Framed Ellie Cashman wallpaper samples. They probably won’t stay forever, but I LOVE them. This time, I spent the extra $12 and had custom black core mats cut at Hobby Lobby. 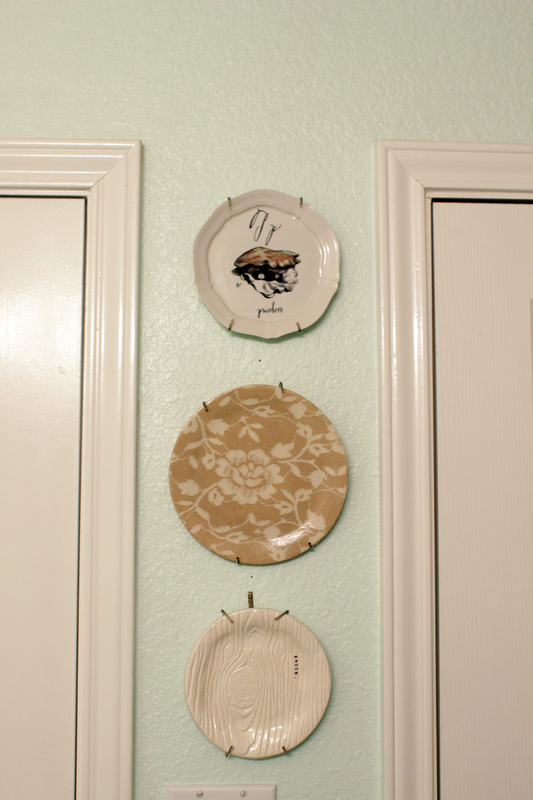 I still opted for my trusty IKEA Ribba frames. 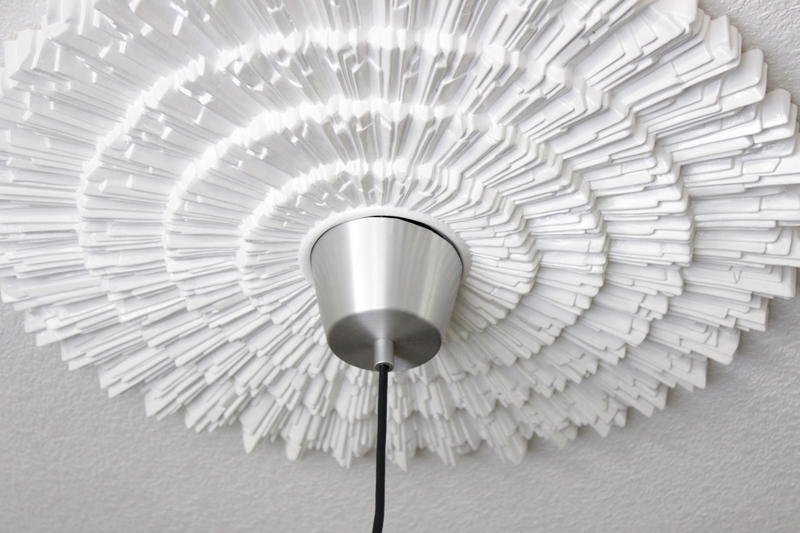 Looking for more inexpensive art inspiration? Check out my free printable watercolour Prada Marfa print, the $2 marble art I made, and how I upgraded my IKEA Ribba frames. After an approximately twelve week wait, and a blue sofa saga I’ll save for another day, our new couch was finally delivered. Boy, was it worth the wait! 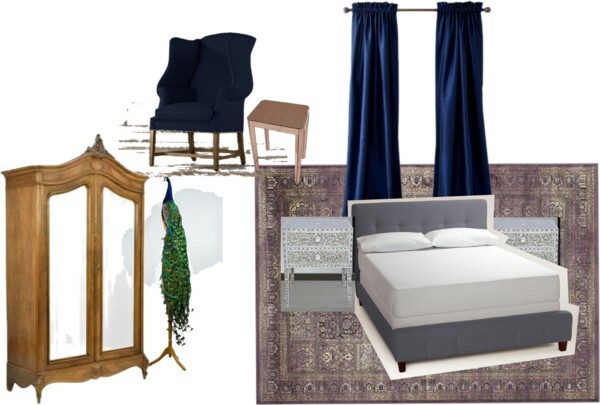 While I’ll share more about our temporary teal couch and my near break-up with my favorite store, Anthropologie, later, look at how far this room has come! From the poufy tan sofa that made me cringe, to the brown leather hand-me down that served us well for almost two years, we are now onto the first sofa my husband and I have purchased and chosen, together or individually! This is a big day. 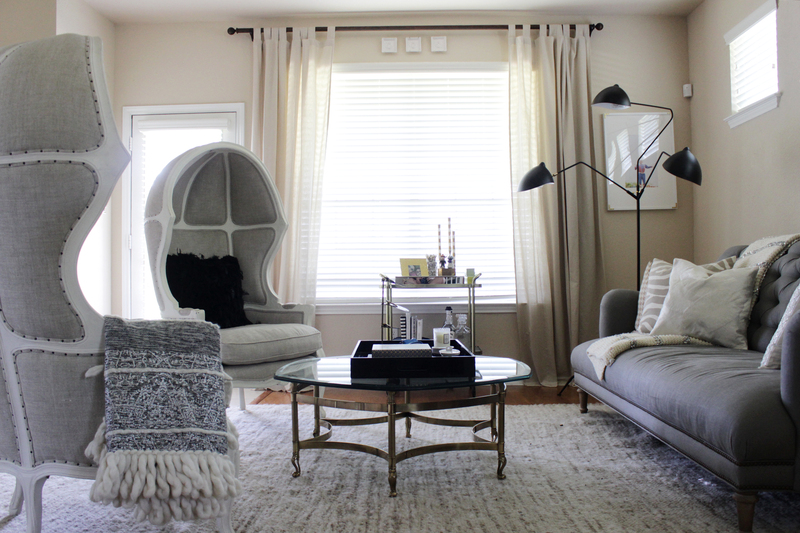 A bit more in the living room has changed, so head on over to the Home Tour page for a peak. This post can also be found on Miss Mustard Seed’s Furniture Feature Friday and Shabby Nest’s Frugal Friday LInkup. 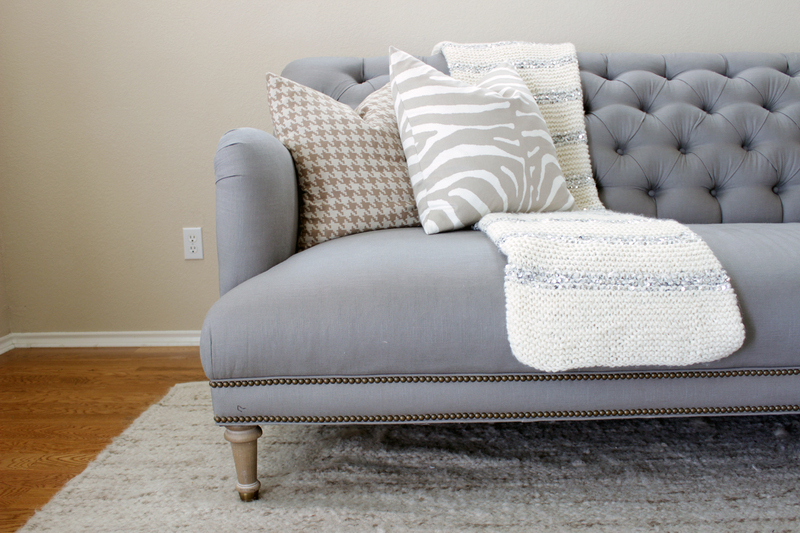 Lately, I haven’t had many projects, but coming back to the blog and looking at the most recently posted photos, I realize so much in my home has changed. It has changed slowly: one small project or purchase at a time. The hope is that, soon, Gusto & Grace will be more reflective of what this home actually looks like currently, starting with the dining room. Several months back, we picked up an enormous mirror for a song at Ikea. It is something like 7 feet tall, and we mounted it to the wall, so it looks even larger behind the alphabet chest. The Texas watercolour prints I made were moved to the barren walls in the living room. I shrunk the dining table to seat four rather than six, since there are normally just two of us. I also killed my fiddle leaf fig tree, which I miss dearly, and hope to replace soon. 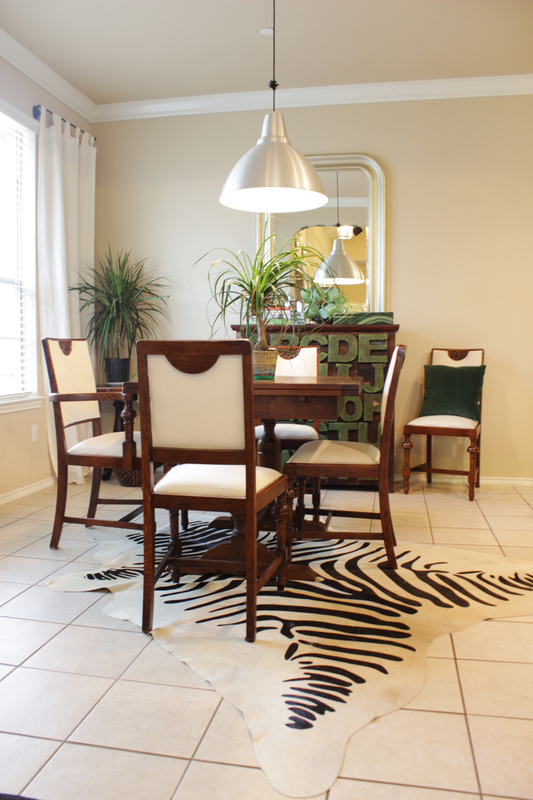 The newest addition to the dining room is a zebra print cowhide rug which I special ordered from Discount Cowhides. I am now a raving fan. 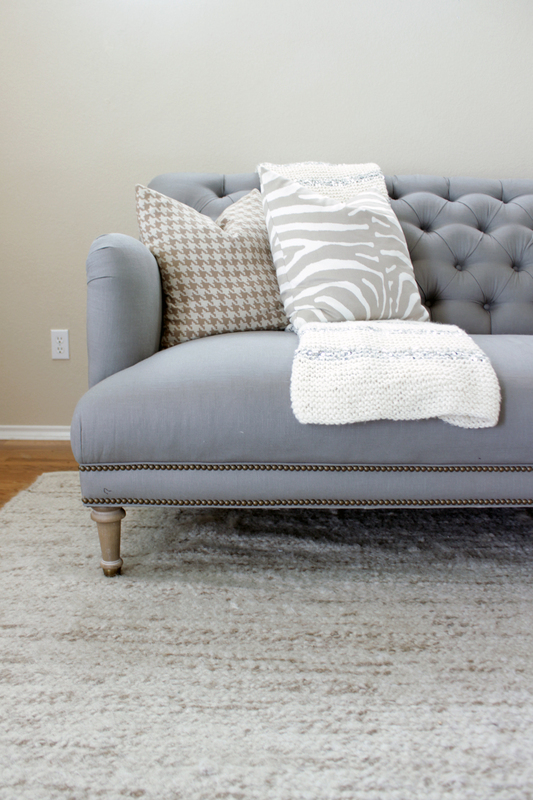 If you’re hunting for a cowhide rug, I highly encourage you to read the post Jennifer from Dimples and Tangles wrote about what makes these cowhides superior. The first several days after receiving it, the house smelled like a leather goods shop. The new number one priority for the dining room will be a new chandelier. On a side note, I’ve decided to narrow the focus of Gusto & Grace. Moving forward posts will be about one of two of my favorite things: the process of creating home or the adventures of travel. Look for posts about the Grand Canyon and Las Vegas in the days ahead. The first home decorating project of the year is complete. In all honesty, I painted it about three weeks ago. 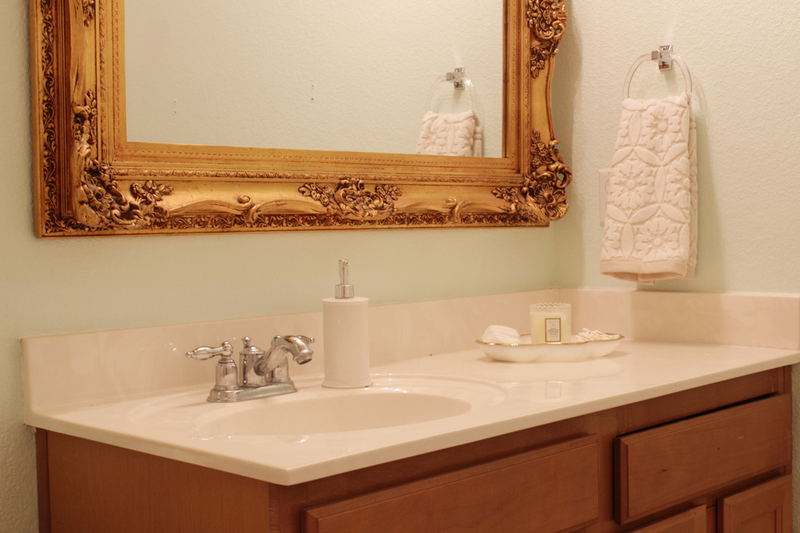 If you need a reminder of the bathroom’s before, you can look here and here. For a grand total of about $50, I think the small updates made a big difference. 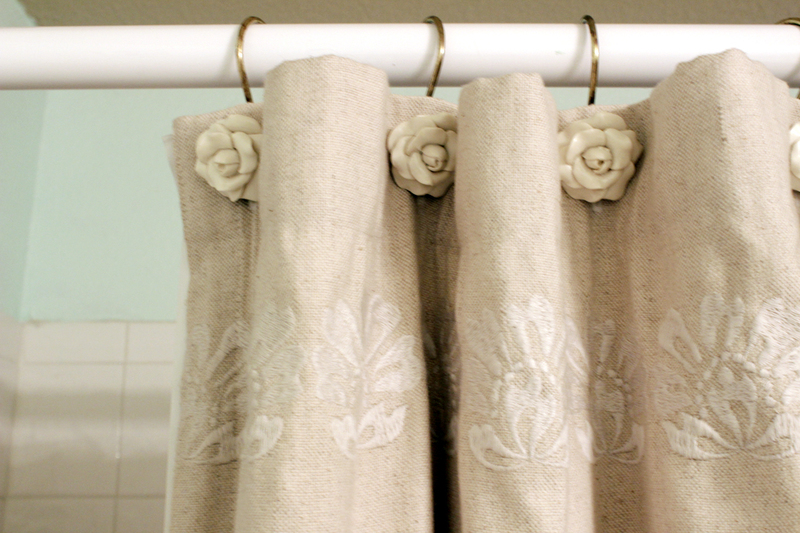 Fresh paint (Valspar Mint Chiffon), art pulled from another room, new hand towels, a vintage milk glass tray, and a new curtain rod enliven the formerly beige room. For a full list of sources, visit the Home Tour page.